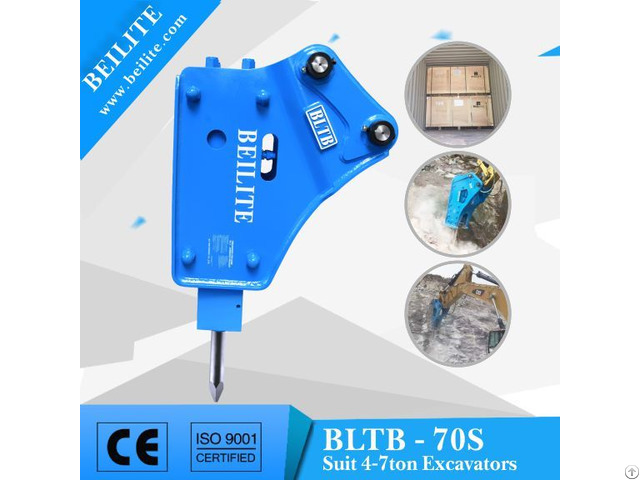 1.Specification of BLTB70 Silenced type hydraulic hammer breaker for excavator. 2.Excavator List for BLTB70 Silenced type hydraulic hammer. 3.Advantage for BLTB70 Silenced Type hammer breaker for excavator. (3) It is friendly enviromental, the voice for it during working is quite low. This type usedly most in European countres.